Green Wash 6X is a concentrated version of SoftWash Systems’ Green Wash. All concentrated versions of SoftWash Systems’ products have been produced to reduce shipping costs on chemical. 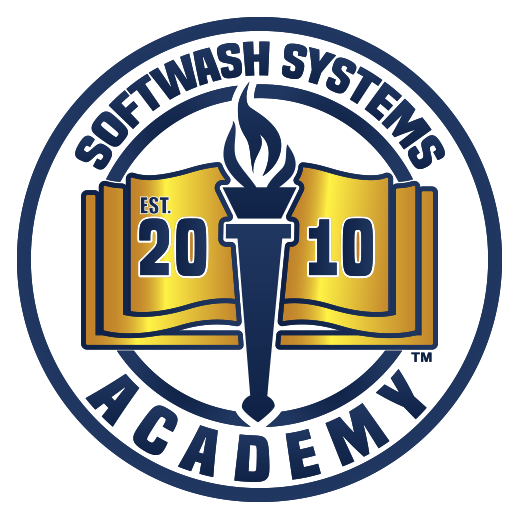 All products abide by the SoftWash Systems’ Good Stewards environmental commitment once diluted according to label instructions. 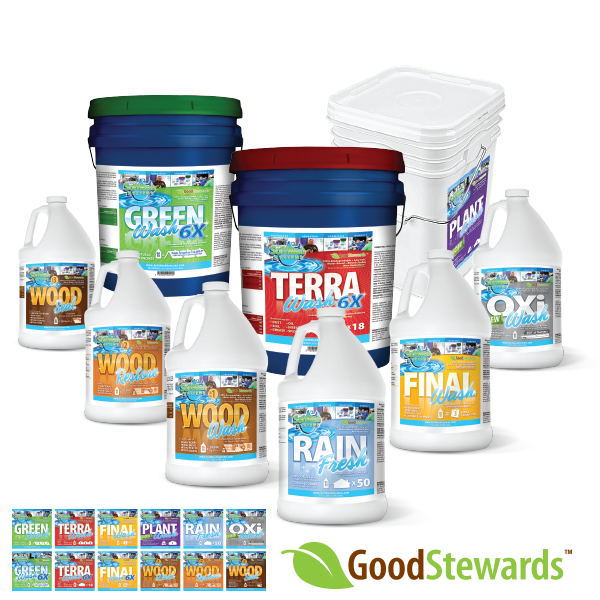 Green Wash 6X is a soft washing additive for use on organic staining such as mold, mildew, bacteria and algae growth. Green Wash is meant to be used in conjunction with bleach and water to make a soft washing solution that can be applied to most surfaces. Green Wash surfactant contains a catalyst that interacts with the bleach allowing the cleaning effect to be greater at a lower overall concentration. Green Wash 6X can be applied at various strengths – stronger for cleaning heavily stained roofing surfaces, and lighter dilution ratios for lightly soiled exterior surfaces such as vinyl siding, awnings, and stucco. You can adjust the amount of Green Wash 6x, Bleach, and Water for your optimal cleaning solution. As always, our chemical dilutions start out at 1 ounce per gallon of mixture and you can adjust up to 4 ounces per gallon of mixture for the strongest cleaning ratio. 1% Bleach, Cleaning Solution: painted surfaces, delicate surfaces, siding both wood or vinyl, screen enclosures, wood fences and decks, soffits, eaves, fascia strip, vinyl fences, and all other lightly stained surfaces. 2% Bleach, Cleaning Solution: durable painted surfaces, heavily stained siding both wood or vinyl, heavily stained screen enclosures, Stucco, brick, wood fences and decks, dryvit, metal and flat membrane roofs, cedar shake roofs and all other durable surfaces. 3% Bleach, Cleaning Solution: heavily stained colorfast exterior surfaces that are tolerant to chemicals and bleach, brick, stucco, stone, urethane molded architectural decorative moldings, shingle roofs, glazed tile roofs, paver stones, driveways and pool decks. 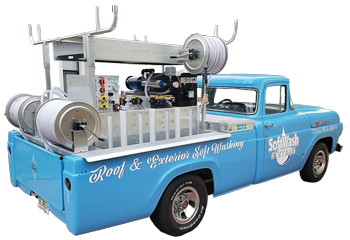 4% Bleach, Cleaning Solution: hardy, indestructible surfaces like, shingle roofs, non-glazed color through tile roofs and non-colored / painted or stained concrete. 2. Add 106 ounces of the Green Wash 6x to the bucket. 5. The Green Wash is ready to be used following the Traditional Strength Mixing Ratios.